Frogs, foxes, and a ferret, oh my! There were tons of frogs contributed to Bead-It-Forward this year! 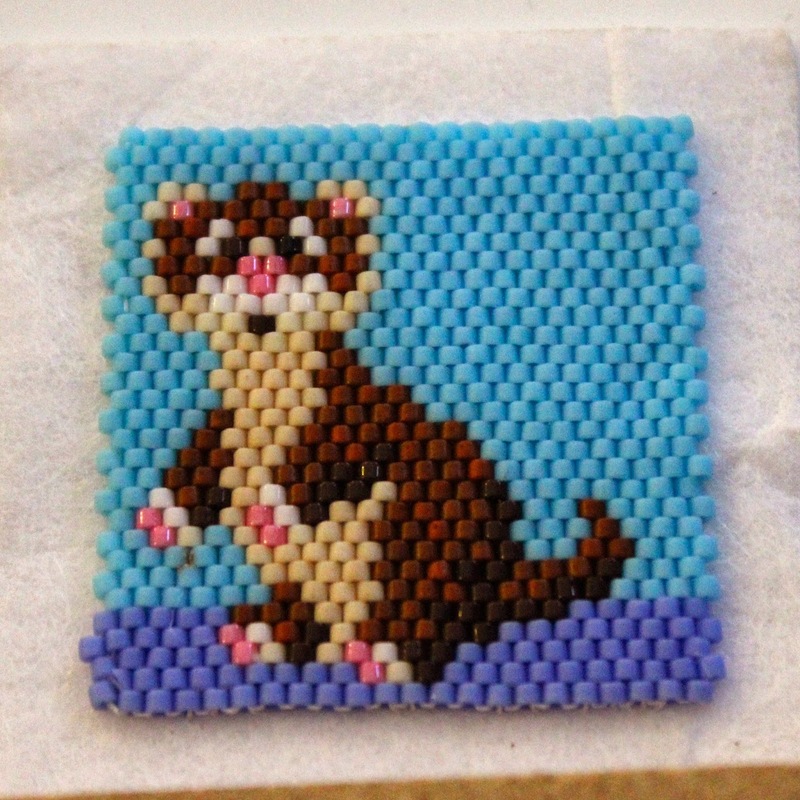 And a single ferret as well! Thank you for stopping by today! If you are curious about other A-Z Bloggers - click here! Hope to see you tomorrow for the letter "G". Hoppy frogs, sly foxes, and a happy ferret soo cute. It must have been so exciting to open each of the packages to see what was created. All the frogs and foxes came out great! And who would have guessed you'd get a ferret too. what a collection and that ferret is just the cutest! Oh my gosh THE FERRET!!!!!! SQUEEEEEEEEEEEEEEE!